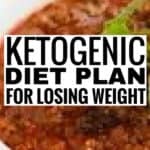 This is a comprehensive guide of the ketogenic diet for beginners. It outlines everything you need to know about the keto diet to be successful, lose weight and become healthier. 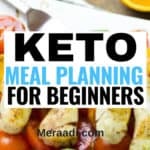 As a bonus for reading this guide, you can check out this amazing keto diet meal plan to help you kickstart your keto journey. 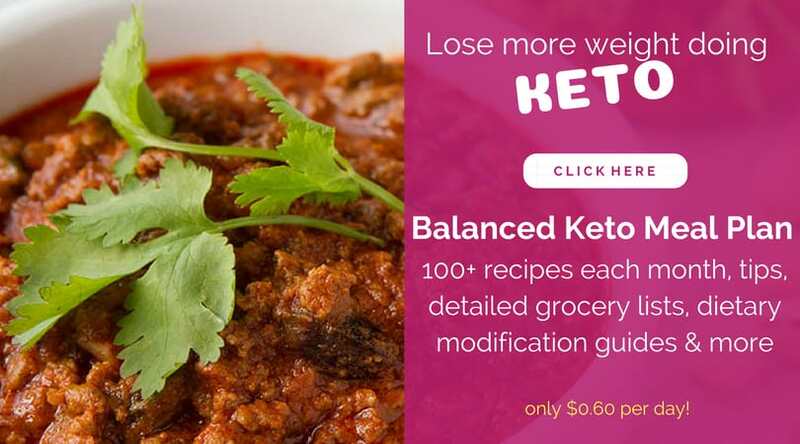 This guide covers 8 very important aspects of the keto diet that will guarantee that you’re knowledgeable and thriving on this diet. The ketogenic diet, also commonly referred to as the keto diet, LCHF diet, Low carb diet is diet on which you reduce your carbohydrate intake, increase your fat intake and eat proteins in moderation. Lowering your carb intake is meant to help force your body into a metabolic state called ketosis in which fat (both fat stored d by the body and what you’re eating) is used up as energy instead of carbohydrates. In our traditional diets, the body uses carbs for energy while leaving fat to be stored and this is why many diets don’t work effectively. On this diet, you’re expected to eat about 75% of your calories from fat, 20% from protein and 5% from carbs with small modifications based on your individual needs. To do this you’d need to reduce your intake of foods such as rice, flours, pasta, cereals, many fruits to name a few. If you follow these guidelines, your body will enter into a state called ketosis and you will start to lose weight. Before you can fully understand what ketosis is, you’ll first need to understand how the body really works. Our bodies need energy to survive and the primary source of energy in the body — which normally fuels every function of the body, from brain cognition to athletic performance — is glucose. Glucose is found mainly in carbohydrates which is found in large quantities in sugars, grains, starchy vegetables, fruits, bread, pasta to name a few. The carbs we eat on a daily basis is quickly stored in our bodies as glycogen to be used as glucose for later. This is what our bodies are forced to depend on for energy on a typical diet. Because of this, our bodies never get a chance to tap into our fat stores and it becomes very difficult to lose weight if you’re eating a diet which is high in carbs. Ketosis happens – and with it, weight loss – when you restrict your carb intake- and there is no longer enough glucose from carbs for the body to use for energy. It thus turns to fat stores or dietary fats which the liver breaks down to use as fuel or energy for the body to function. This process helps your body become better at burning fat. Both stored fat and the dietary fat you eat, which is why so many people lose so much weight quite quickly on the ketogenic diet. Reaching ketosis is very different for everyone. For most people, it takes a between 3- 4 days. While for others, it takes a week or so. Many times, you won’t have any of those signs as everyone’s body is different. However, you can use these keto strips to test your urine to know if you’re in ketosis. Traditional diets have taught us that one of the main culprits of weight gain is eating high levels of fat. Therefore, you may be wondering how this keto diet promotes eating more fat than anything else. The truth is, fat is very essential component of a healthy diet. Ideally, you want to make sure your diet comprises of healthy fats from sources like avocados, some nuts, coconut oil, whole eggs, seeds, grass-fed butter, beef, chicken, ground pork, ground turkey etc. There are quite a few foods you cannot eat on the keto diet and having them in your house is the biggest and most unnecessary temptation you can put yourself through. Beyond that, it is very important that you read the nutrition labels of everything that you eat. You may think you’re eating something low carb that is filled hidden carbs and sugars. Get rid of all refined sugar, fruit juices, desserts, sugary drinks, candy etc. Cereals, bread, quinoa, croissants etc should be thrown out. Almost all fruit needs to be avoided because they contain lots of sugar and carbs. To learn more about all the food you need to avoid, read this comprehensive article. These are a list of the foods you can and should be eating the keto diet. 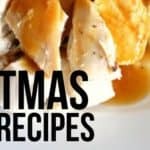 There is a long list of meats and seafood that you can eat on the keto diet. They include,Vegetables, Dairy, Fats & Oils, Drinks, Fruits and more. You can find the full list here. It doesnt hurt that you can enjoy bacon and cheese on this diet, however, be aware that in order to be healthy, you need to moderate your intake of some of these unhealthy options. However, know waht you can eat in term sof fruits and make sure you have fruits in moderation. Many people think of the keto diet as a low carb diet. While completely missing the point the the keto diet is a low carb, moderate protein and low carb diet. This means that Eating too much protein can and will affect your weight loss if unchecked. Having too much protein will turn the protein in to blood sugar in your liver through a process called gluconaenisis, which could spike your insulin levels which your body can then use for energy instead of fat. This can stall your weight loss. The ketogenic diet is a very effective way to lose weight and eliminate a lot of health problems. If you’ve ever been thinking of starting, use this guide to help you out.